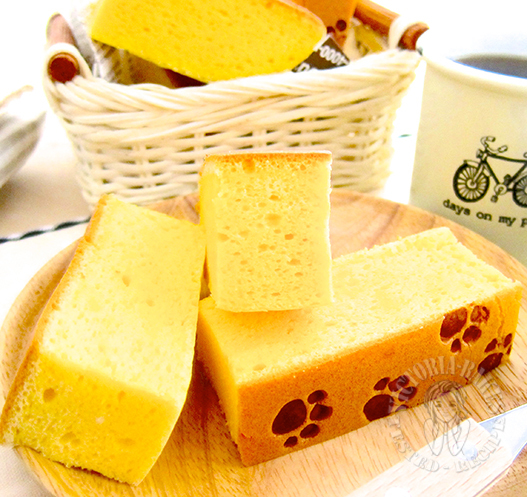 This sponge cake would be so perfect and good to go with my kumquat jam!! It would be so heavenly delucious!!! Where do you buy the embosser? whereabout in Tokyo u got this embosser ? I managed to get 1 from Global Rakuten & am getting friend to bring back. Can\’t find much design from online shopping. If there\’s a shop in Tokyo, please let me know. Thanks. Hi, go to kappanbashi street (i.e. the kitchen street in tokyo). Many shops sell these. I do hv a post on this street in my blog as well. 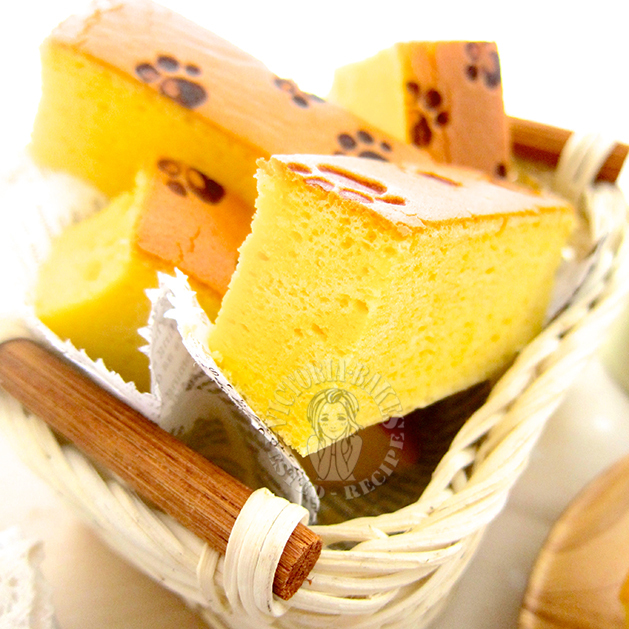 Your lovely golden sponge cake looks so delicious and beautiful. 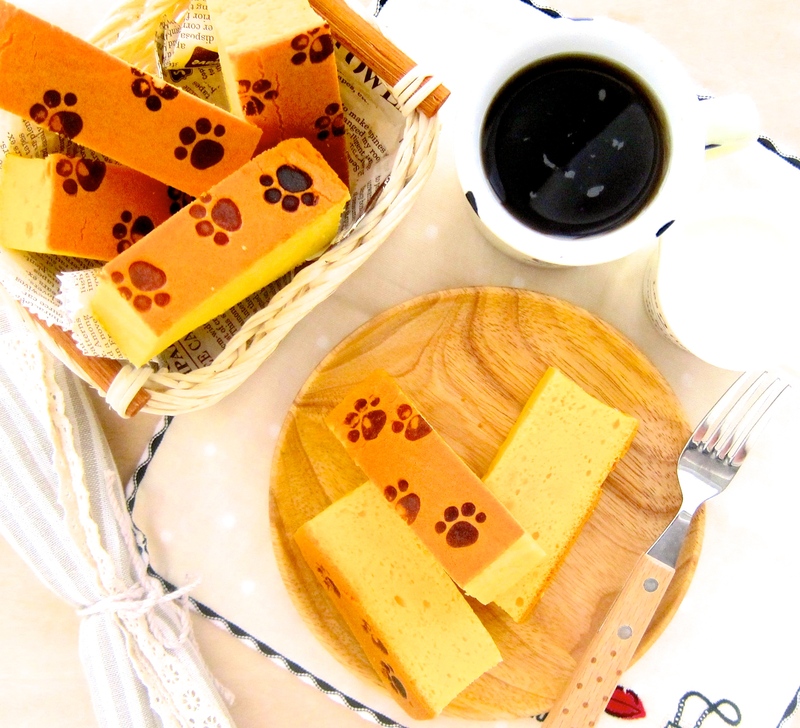 Loved the cute paw prints. 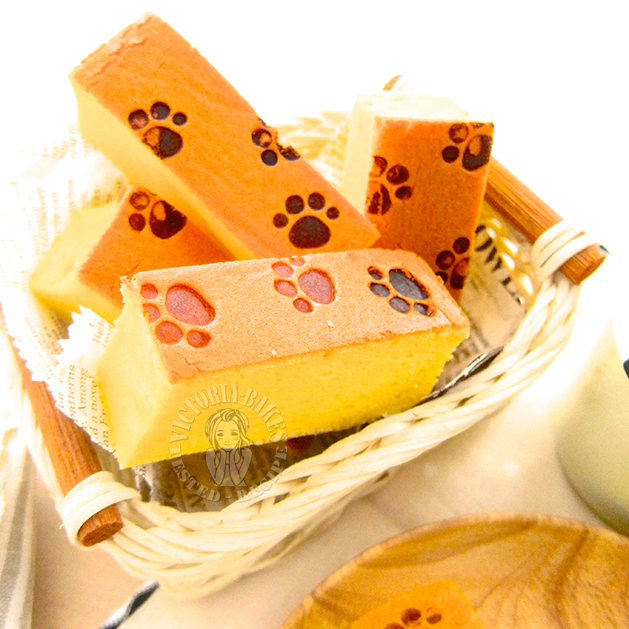 Cute paw print embossed on the lovely butter sponge cake ! Love this cake! So soft and fluffy!! 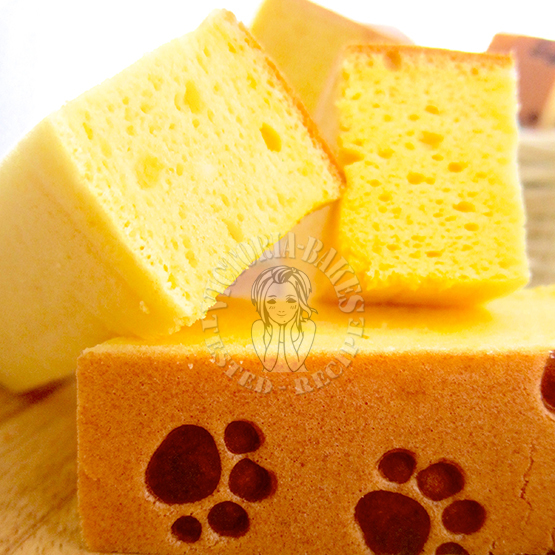 The cakes are beautifully cut to smooth edges and to a standardised size. What knife did you use? Brand? Can show picture? Hi Victoria thanks for sharing. Before add in egg after the milk, needs to let it cool down 1st? Hi Nicky, not necessary. Note that flour and butter comes to only a soft boil, after which milk is blended in over low heat. U turn off fire once it is blended. The mixture should NOT be too hot. If u find it so, then pls allow to cool down slightly before adding eggs. U will need to whisk and temper the eggs once adding in so they will not curdle.